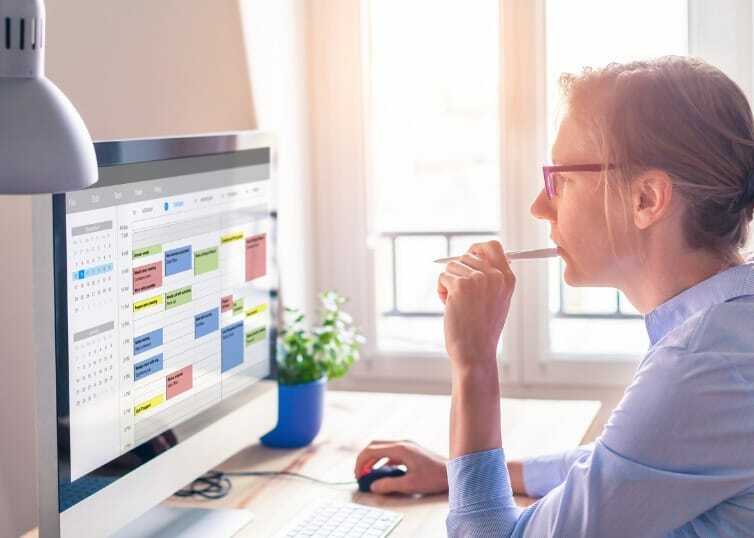 As a real estate professional, you’re probably overly familiar with the term “time-blocking.” That block of time on your Google Calendar that is sacred and can’t be encroached upon is the profit center for many real estate agents. Why? Because this is the time to be seriously zoned-in and completely focused on one specific goal—lead generation. But have you been blocking off time for other, seemingly less significant goals? Take for example, scheduled breaks. Running yourself ragged can be counterproductive since you’ll be too exhausted to truly achieve the level of efficiency you are capable of. So, what’s the key to maintaining a healthy work-life balance? Here are three small ways to help you achieve a healthy and profitable schedule. Lunchtime means put down the phones. Take at least 20-30 minutes to stretch and refresh, get some air and put some nutrients into your body. This doesn’t mean sit at your desk and quickly consume food as you prepare for your next lead generation call. Really take the time to pause, not only physically, but mentally, as well. This is a great way to hit the reset button on your day so that when you return to the daily grind, you’re re-energized and re-focused. Yes, lead generation should be a high priority; however, give yourself some flexibility to accept that life as an agent isn’t always predictable. Transaction emergencies will come up and disrupt some of your previously blocked-off time. Sometimes a truly profitable appointment can only be scheduled when you told yourself you’d knock out some cold calling to refresh your database. If you end up invading on your scheduled time, move over that session to later in the day or week so you’re not completely thrown off course. FREE Career Guide: Gain a competitive advantage in your real estate career with our Trending Toward Success e-book. Stay the course as best as you can. Of course, there will be plenty of opportunities to actually use the time you blocked off for a specific goal. So, try to maintain focus during this time and get as much done before the next inevitable distraction pops up. Remember, just because you’re prepared for anything doesn’t mean you can’t let your clients, associates or friends and family know that there are specific times when you just have to sit down (or stand up, if that’s your preference) and get that lead-prospecting and generation work done. After all, for many agents, that’s the bread and butter of the business.